I believe that reading is an important discipline of the believer. Studying the Word and other resources serve to strengthen the believer. Reading is vital. And as I’ve mentioned before on NoCamo, I’m an Apple fanboy. But a few months back, I was looking for a device to bridge the gap between my iPhone and my Macbook Air. 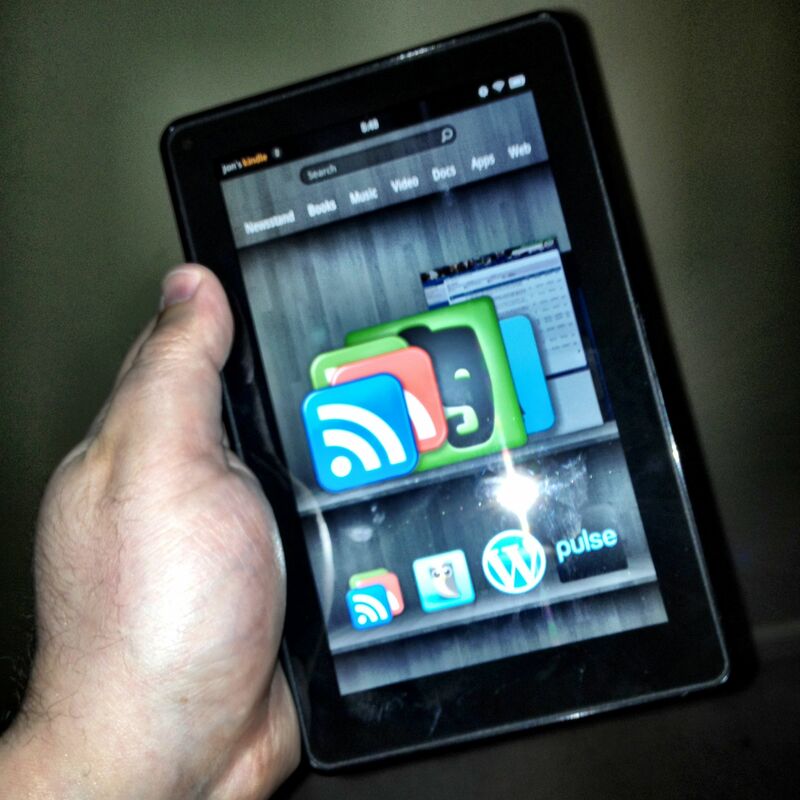 I have been using a Kindle Fire since it came out, and it has proved to be an invaluable addition to my tech toolkit. This post will not be a comprehensive review of the device, as I am neither qualified nor interested in writing such a piece. Instead, I will attempt to explain how I use mine. gReader – This is how I access my Google Reader, where I scan 400+ blog posts from 130 or so blogs a day. Hootsuite – I manage my Twitter and Facebook from this app. I utilize it from time to time on my iPhone, but it’s a much more effective tool on the Fire. Pulse – This app came with the Fire, and I really like it for news feeds. I have tabs set up for news, technology, comedy, and miscellaneous. I’m able to share news stories with Hootsuite or save links to Evernote. YouVersion – My Bible app of choice for the Fire and iPhone. 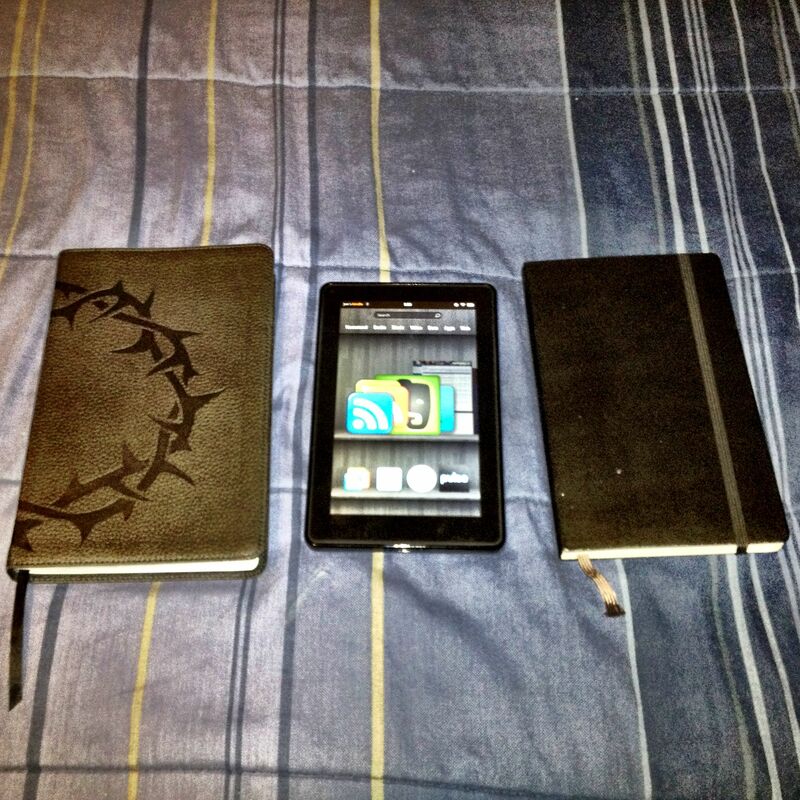 Logos – I love the fact that this tablet is the same size as my Bible and Moleskine. I am able to keep the tablet next to my Bible and study using Logos as my reference tool. Or, I can quickly look up a passage in Sunday School for further study. Evernote – I use Evernote for so many things. It is handy when I want to save articles from the web, Google Reader (as I said before), or my own thoughts, ideas, and pictures. I also use it to archive the various PDF ebooks that I find, as well as subscriptions to a couple of ministerial newsletters. In addition to reading, there is consumption of other content, such as video and audio. The Fire comes with access to Amazon’s Cloud Player, where I am able to access a number of my music files from anywhere with a wifi connection. This saves drive space. I also use Netflix for movies and Pandora for music (although lately I’ve become a fan of the PG stand-up comedy station on there). Drawbacks? A few. I wish it had more memory, but I knew that limitation when I bought it. Also, I could do without the carousel, whcih displays your most recently viewed/used content/apps. 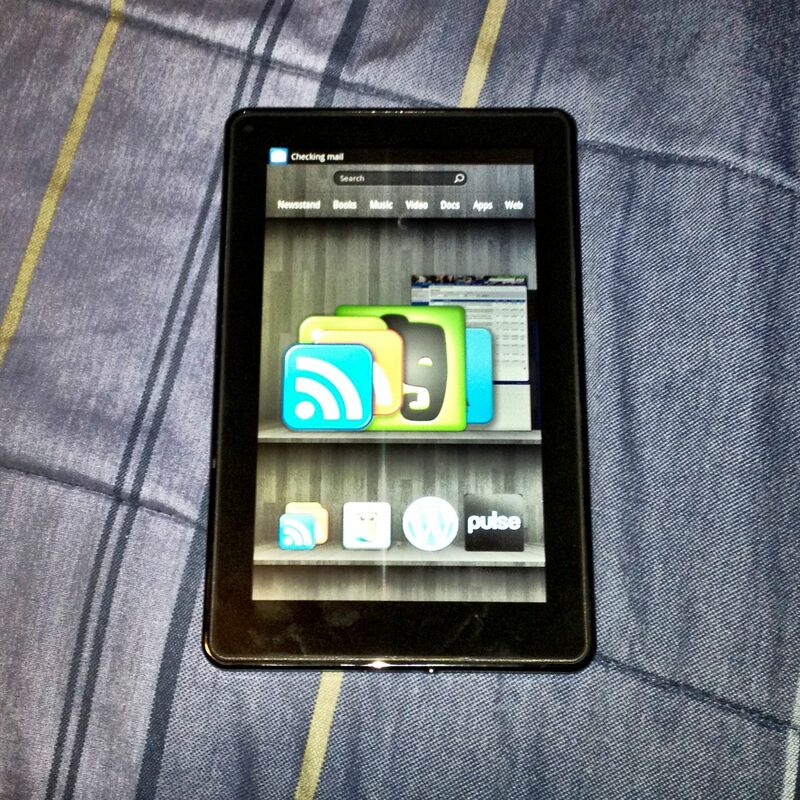 Bottom line: I know the Kindle Fire it isn’t an iPad Junior, and I am OK with that. Do you use an e-reader or tablet, or both? How do they fit into your reading / consumption pattern?